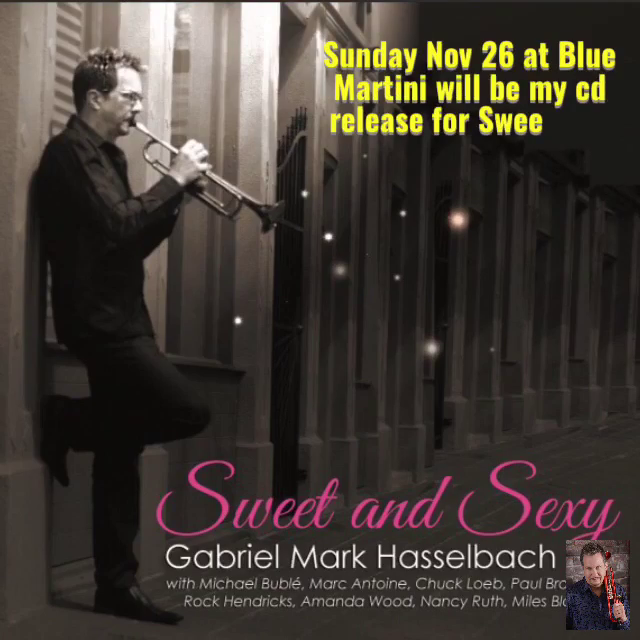 The Blue Martini rocks (I mean jazzes) on and there are two special events this week and next! Full band, great food and special guests! Check out the video! 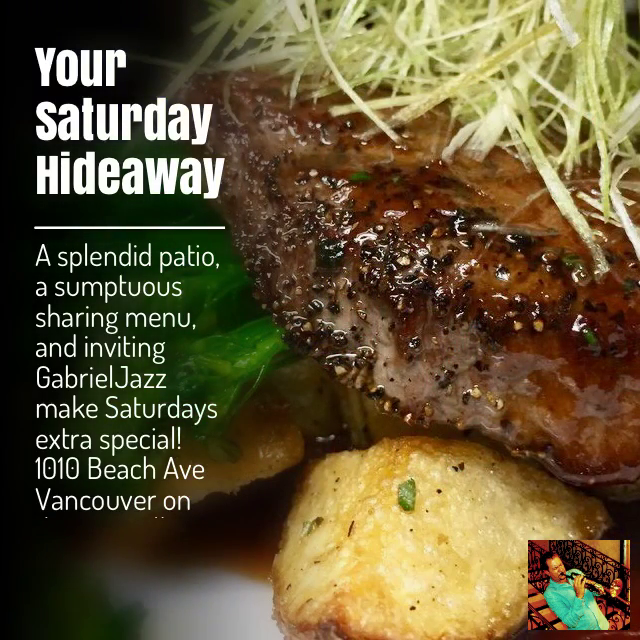 Enjoy our beautiful autumnal city today, and tonite take in some cool jazz and an amazing menu with Gabriel at the Pinnacle at the Pier, with special guest LJ Mounteney! Thank you Bentall Towers and Candarel for a fantastic 2017 Summer Concert season. On deck today is the internationally acclaimed sax impresario Cory Weeds and band. Noon to 1:30pm, 1055 Dunsmuir on the plaza! 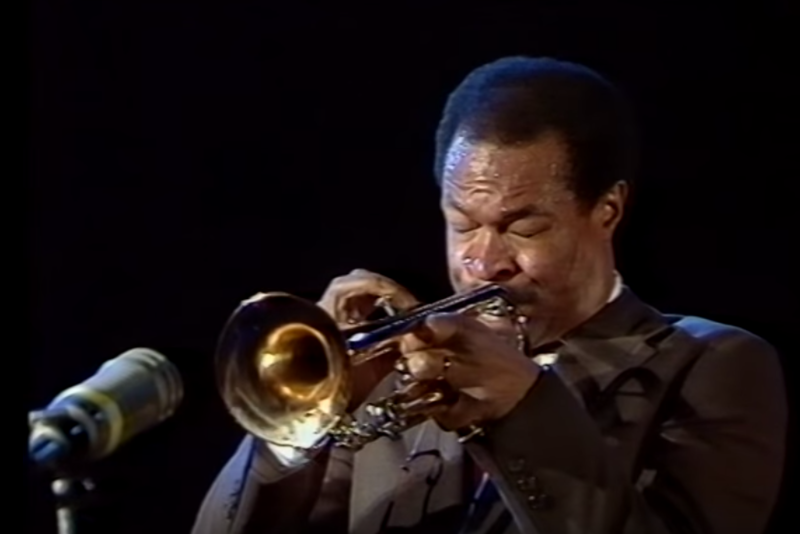 Woody Shaw's flame was snuffed out too soon before he could solidify his stature in the trumpet zeitgeist, and accept his rightful 80's era Crown. Freddie Hubbard and Dizzy Gillespie look on trying to hide their amazement and valiantly try to outshine Limber Lips Woody! 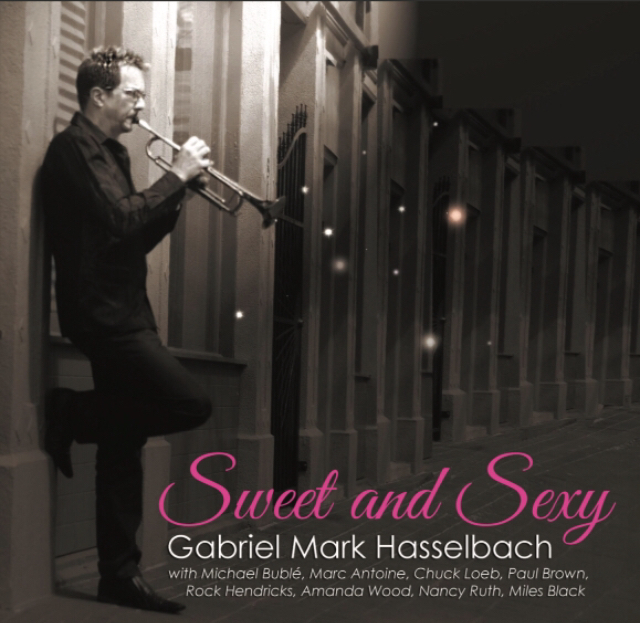 If you want to share, check out my FB or blog www.gabrieljazz.posthaven.com. 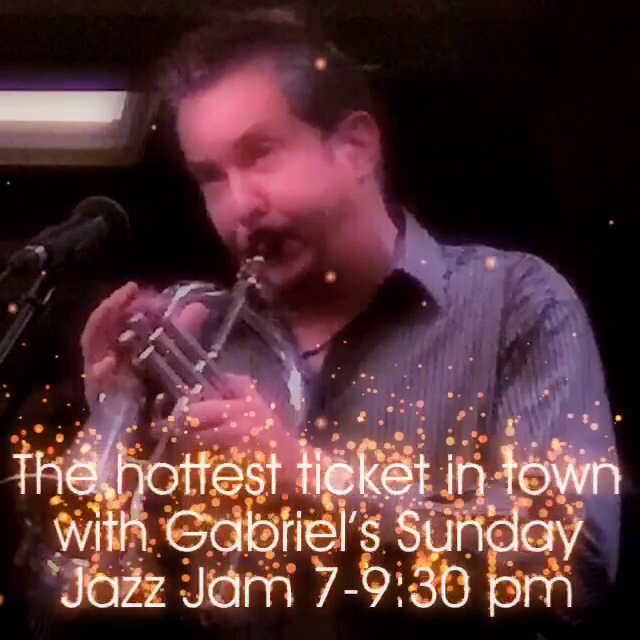 Cool jazz with Gabriel and a fantastic menu and rockin' patio to boot! The Bentall Summer Concert Series is on the horizon! 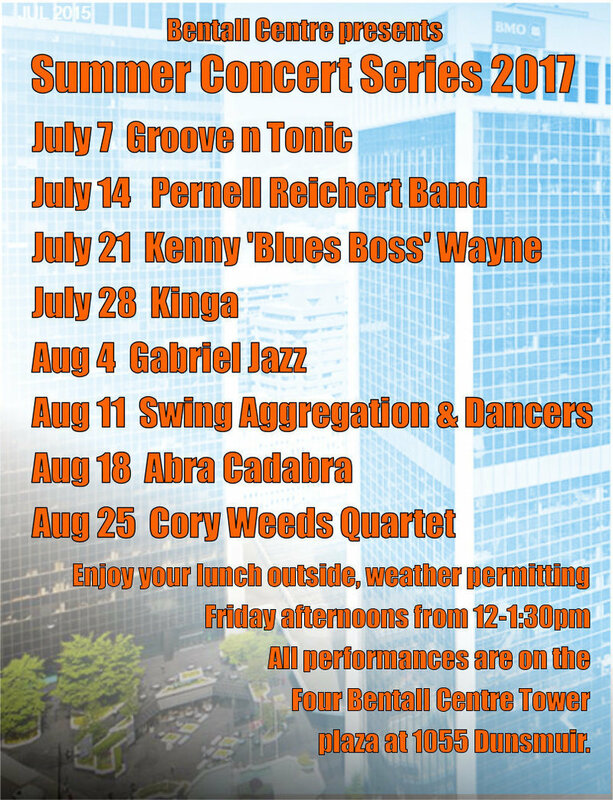 Every Friday this Summer, from Noon - 1:30 pm, starting July 7 through Aug 25, there will be a fantastic array of talent performing on the plaza at the base of Bentall Tower Four! Easy to find with lots of parking, downtown Vancouver, 1055 Dunsmuir, across from the Burrard Skytrain station by the Hyatt and Royal Centre. There is ample seating and a food court there if you want to enjoy a fantastic lunchtime event. Public Welcome! See the final lineup below and full details with links at http://specialtytalent.posthaven.com/bentall-centre-summer-concerts-2017 and be sure to repost and share with your friends. Don't forget, I will be all over the city this summer, so check out my schedule too! 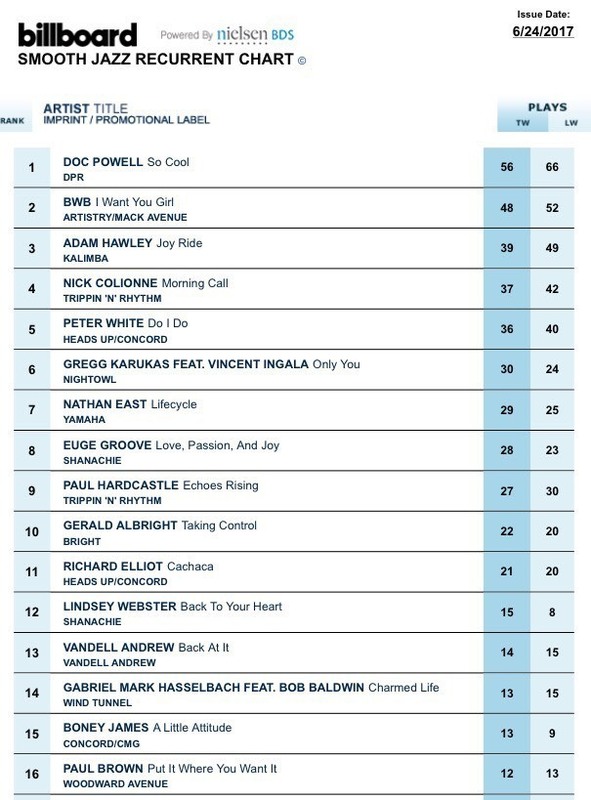 Still riding the Billboard charts! Charmed Life- recurrent at #14 and rising- is the third single from my January 2015 (!) release Open Invitation! Wow, that album has legs! Many thanks to my co-producer Lew Laing Jr., radio titan Neal Sapper, and the nimble digits of guest pianist Bob Baldwin!